New York City can be a traveler's nightmare, but Elite Air makes getting to and from the City much less challenging, and Teterboro Airport (TEB) is a big reason for that convenience. 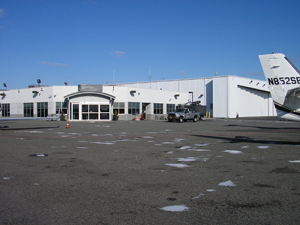 Located just 12 miles from midtown Manhattan, access to New York City from Teterboro Airport is primarily available through the renowned George Washington Bridge to the north or a short distance south to the Lincoln Tunnel. Deluxe executive conference room seating up to 20 people. Private telephone rooms equipped with PCs, printers and data ports. 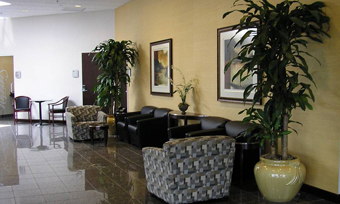 Fully outfitted business centers at Signature-Teterboro East and West. U.S. Customs available on airport. Freshly baked cookies and muffins. Wireless internet in all public areas. News, weather and music services. Crew lounge with individual snooze rooms, showers and lockers. GPU, lavatory and water service.